The best white noise machine application on the market. Superior in sound contents: 24 scenes, 83 different sound effects and more than 300 different sounds ensure that everyone will find an ambience matching their needs. 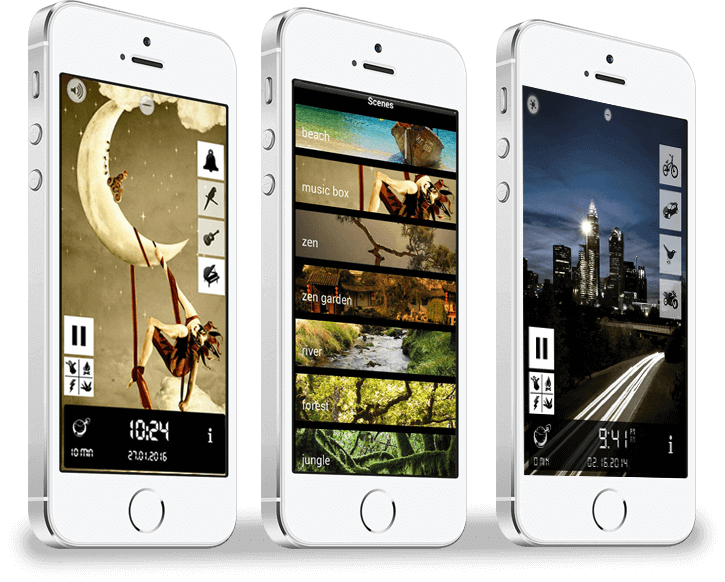 Sleep Bug is an ambient sound mixer that produces a variety of scenes and music with random sound effects. The built-in sound generator creates a realistic listening experience to help calm a busy mind and is perfect for adults, children, and babies who are having trouble sleeping. You can also use sleep bug in the office to mask out distracting noises, improve concentration, and increase privacy. I have loved Sleep bug for almost a year now and it has greatly improved my ability to fall asleep. I especially love the campfire, weather, underwater, and city scenes. Great experience and great app! Highly recommend! This app is simply fantastic. I use it with my iPhone in a charging stand (so I can see the screen) and a Bose Mini SoundLink, both sitting on my nightstand. 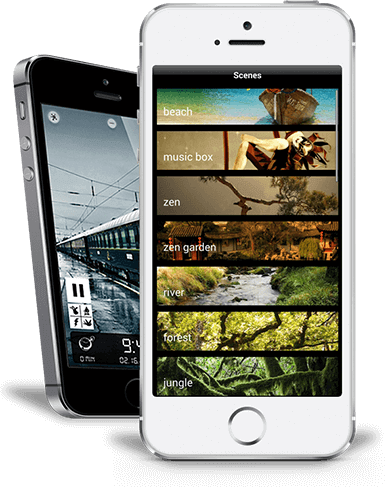 It offers multiple "themes" (Beach, River, Forest, Waterfall, etc.) each having a baseline sound. We needed some white noise to put in our toddlers' room so I actually bought a white noise machine from Homedics that ended up not working at all so, after a friend's recommendation, I downloaded SleepBug and am in love with it. With the screen off, the sounds continue and you're still able to adjust the volume. It's perfect.